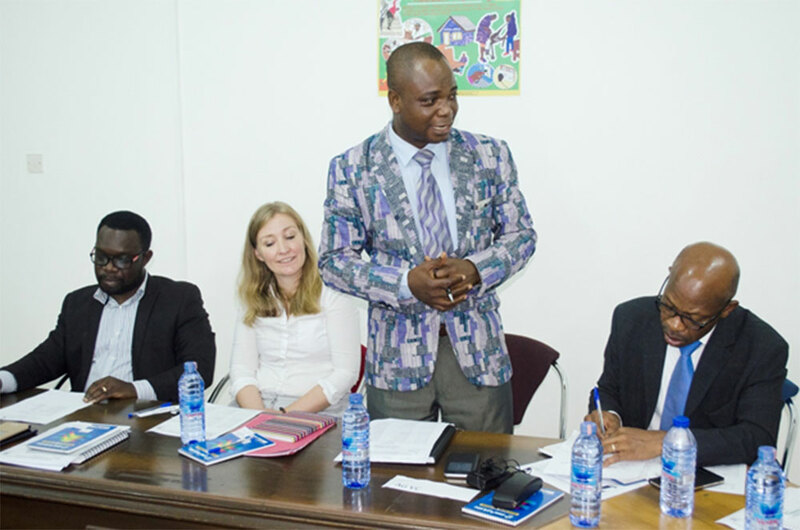 Kick-off meeting on Partnership for Applied Sciences (PASS) project has taken place in Kumasi Technical University (KsTU) in October 2017. This was a sequel to a previous one held in Cape Coast Technical University (CCTU) in the same month to start the DAAD/MIWF sponsored programme of building the capacity of staff of the two institutions. The funding for this project which will run for a four-year (2017 -2021) period has budgetary allocation of 200,000 Euros. It would be recalled that all the eight newly converted Technical Universities competed for two different funding slots that were spearheaded by Bonn-RheinSeig (BRS) University of Applied Science in Germany. To brighten the chance of KsTU to secure one of the funding slots, it strategically combined forces with CCTU which eventually won the two universities (KsTU and CCTU) one of the coveted funding opportunities. Apart from building the capacity of staff of these institutions, each of the two universities (KsTU and CCTU) is to carry out a project in their individual niche areas. While KsTU is gearing up to put up a Green Campus as a project within its niche area, CCTU is to construct an Eco-Guesthouse on its campus. The two institutions are to develop proposals with technical assistance from Bonn-RheinSeig (BRS) University of Applied Science in Germany to secure more funding for these two projects. In his welcome address, the Acting Registrar of KsTU Mr. Abraham Annan Adjei expressed the enthusiasm of Management of KsTU about the entire project, especially, the Green Campus concept for KsTU which among other things will ensure that the University adopts technologically advanced way of managing waste and conserving energy. On his part, the Interim Vice Chancellor of KsTU Prof. Asiamah Yeboah gave assurance that the University will do everything possible to ensure that all the needed counterpart funding to make the programme succeed will be provided by the University in order to realise the objective of the project. He further charged all stakeholders especially the staff of KsTU to take advantage of the project to have their capacity built in all the relevant areas. The Project Coordinator for Bonn-RheinSeig (BRS) University of Applied Science in Germany Miss Sonja Keller was full of happiness for the zeal and enthusiasm with which the authorities and the staff of KsTU have received her and embraced the project. She encouraged all stakeholders to collaborate well to ensure the success of the project.